These are “the top ten” in the tradition of the Christian people. They are our daily responsibility as believers; in Lent, we concentrate on them even more seriously. 4. Doing good works. Jesus went about doing good. The apostles continued to teach us to do good works, to help those in need, to give others the good example of our living, to pray for other people and to be ready to serve them in their time of need. The list is endless, but can be summarized in a few words: we are to help Jesus and come to his aid by helping other people in a spirit of love. 5. Giving alms. We give alms to help God’s poor and to support the good works of the Church and other positive agencies. Again our help is being given to Christ in his brothers and sisters. Many Churches encourage giving 10%—the biblical tithe—as the minimum gift to God and to God’s works. We do not give in order to show off or keep up with others; instead we give cheerfully to God, who has given us everything we have. 6. Abstinence. This form of penance needs to be seen as a near cousin of fasting. 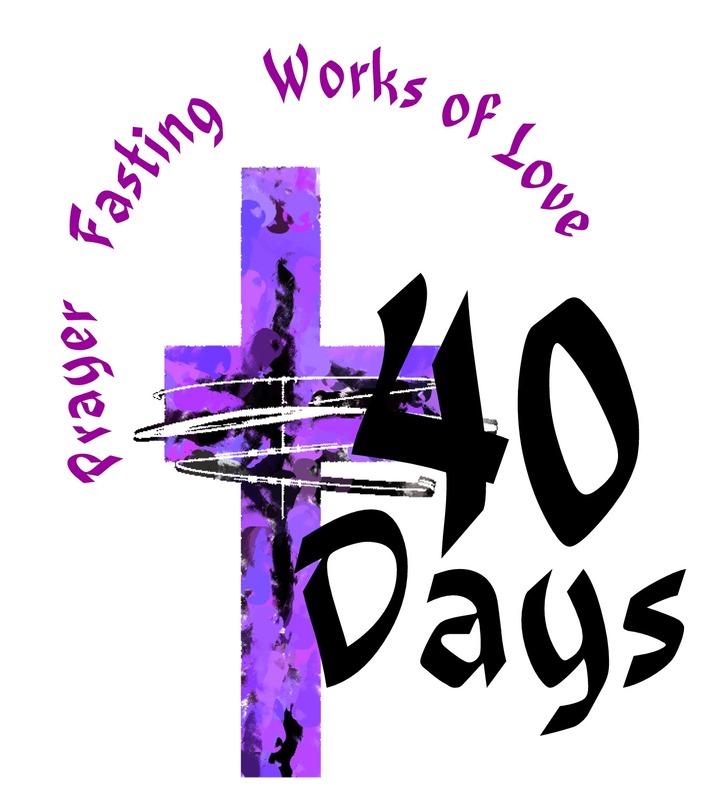 We may give up meat or other desirable foods on one or two days a week during Lent, especially on Friday, the day of Christ’s saving death on the cross. Our abstinence is another way of sharing in Christ’s work of saving the world. 7. Carrying out our duties of life. This is perhaps the hardest and most unrecognized form of penance. We serve God by living out our vocation in love each day. We do our best for God by being a good mother, father, teacher, worker, student, religious, minister, priest. God is calling each of us to be a living sacrifice, and to offer our daily life through Christ. 9. Controlling our desire for possessions. Jesus reminds us that our heart will be wherever our treasure is. He tells us to build up treasures in heaven rather than on earth. Today’s consumer is constantly tempted to buy more and more things: everything has to be newer, bigger, better—and automatic. As Christians, we should be cutting down on our possessions, eliminating frills, giving our surplus to others, lessening our wants, and sharing ourselves, our time, our talents and our possessions with others. 10. Controlling our desire for entertainment. Too much entertainment—by radio, TV, movies, spectator sports, light reading, distractions—can dull our taste for the things of God, and lead us to have no time for the works of the Lord.